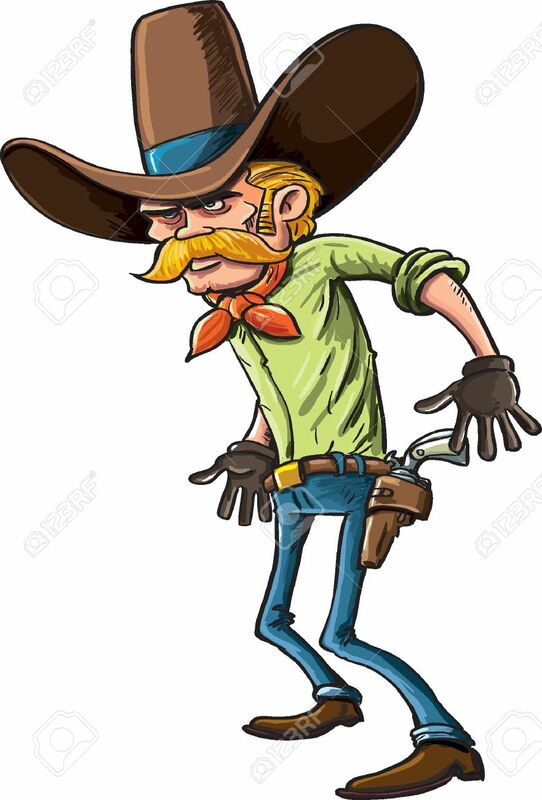 Rugged Handsome Wild West Cowboy In A Huge Hat Standing Poised.. Royalty Free Cliparts, Vectors, And Stock Illustration. Image 18169122. Vector - Rugged handsome wild west cowboy in a huge hat standing poised ready to draw his guns in a gunfight, cartoon. Rugged handsome wild west cowboy in a huge hat standing poised ready to draw his guns in a gunfight, cartoon.